Before I start, just want to let you know that Pro nopCommerce is now hosted on Windows Azure Web Sites. The thing I like about Windows Azure Web Sites is its seemless deployment process. As I am a heavy user of BitBucket, I hosts all of my codes on it, including the codes for Pro nopCommerce. 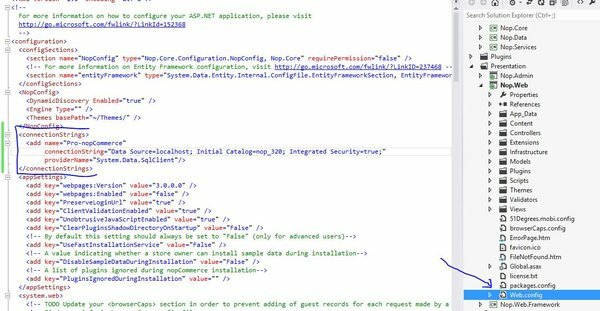 And the good thing about Windows Azure Web Sites is that it can link to various code hosting platform, including BitBucket. By linking Azure Web Sites with my code repository on BitBucket, I can then setup automatic deployment on Azure. My codes get automatically pulled and compiled whenever I make changes and push it to BitBucket. There's very little FTP-ing (unless you need to upload some HGIGNORE-ed files). The process is effortless. I just change my code, push it to BitBucket, and Azure deploys the code for me. 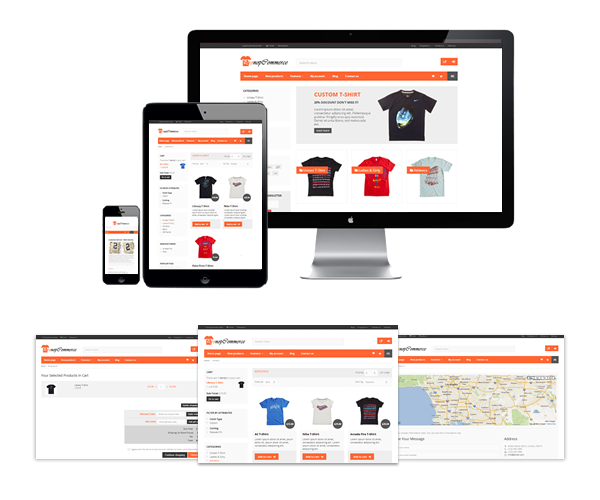 We are proud to introduce NopLite, a new nopCommerce responsive theme we've spent many hours to develop! For those who are familiar with our existing NopWired free nopCommerce theme, this is also a similar general purpose theme that you can just install quickly and start selling any kind of products! Totally pain free! Curious of how it looks and run? Click this link for a full demo of NopLite responsive theme. NopLite currently supports nopCommerce 3.20 and nopCommerce 3.10. If you want it in older versions, please do not hesitate to let us know in the comment. We'll consider it if there's enough requests. To celebrate the launch of this theme, we are giving away 8 copies of the theme to 8 lucky winners! Below is the steps to win yourself a copy of NopLite. Not long ago, we've organized a giveaway here on Pro nopCommerce, sponsored by Packt Publishing. The contest has given away 3 copies of "Getting Started with nopCommerce - An in-depth, practical guide to getting your first e-commerce website up and running using nopCommerce" to 3 luckly winners. Weeks after the contest was over, Packt Publishing is generous enough to sponsors 3 more (digital) copies of the same book to us for ANOTHER giveaway. So here we go again: complete the following steps and you'll stand a chance to win 1 copy of this book (3 winners in total). 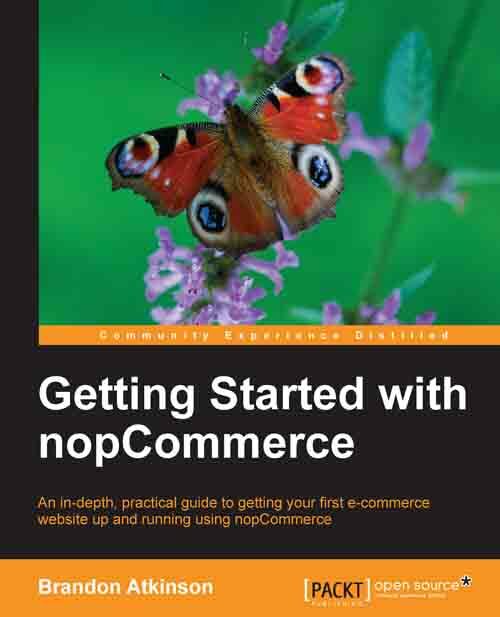 We've recently reviewed the book "Getting Started with nopCommerce - An in-depth, practical guide to getting your first e-commerce website up and running using nopCommerce" published by Packt Publishing. You may read the review if you have not already done so. Do you want to open an e-commerce store of your own but don't know where to start? Or perhaps you've narrowed down your selection of shopping cart software, and want to find out more about nopCommerce? Packt Publishing has published a book that targets people just like you! 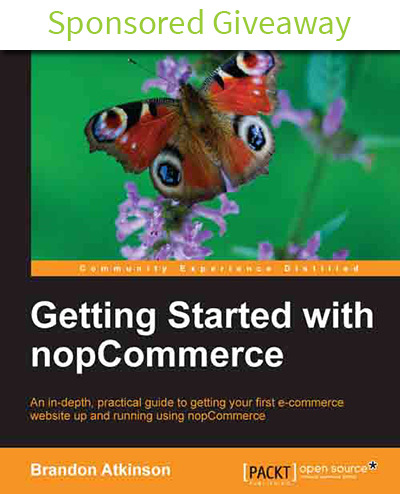 The book, titled "Getting Started with nopCommerce - An in-depth, practical guide to getting your first e-commerce website up and running using nopCommerce", is a comprehensive book perfect for first-time e-commerce store owners and wannabes who wants to set up their own stores and be able to manage the stores. You probably know that Pro nopCommerce has released a free nopCommerce theme, NopWired, weeks ago. I am grateful that this free theme has been downloaded by many Pro nopCommerce supporters all around the world since then (and has obtained a lot of nice reviews from the folks). NopWired theme has a very simple and sleek design with some great features to mess around with, especially on the Homepage itself. As you can view the theme on the demo site, the homepage is made up of many beautiful pictures and links. It is worth to note that, all these sections are highly customizable for your own stores. So, here I am going to write a simple tutorial to explain the setup procedure of this beautiful NopWired homepage. After installing and running NopWired on your stores, please don't get shocked by your store's first sight. As the homepage of NopWired theme is made up of various Topics blocks, you won't get anything if you don't setup those content on your store. On first deployment of NopWired, you'll see something similar as the picture below (you probably see a different picture in the slider). 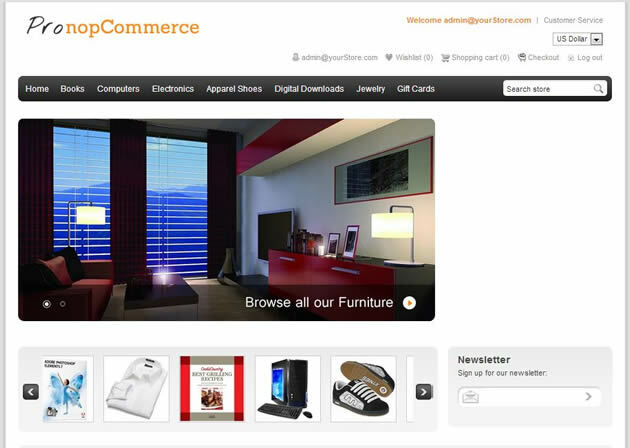 nopCommerce is a superb e-commerce platform, there's no doubt about it. 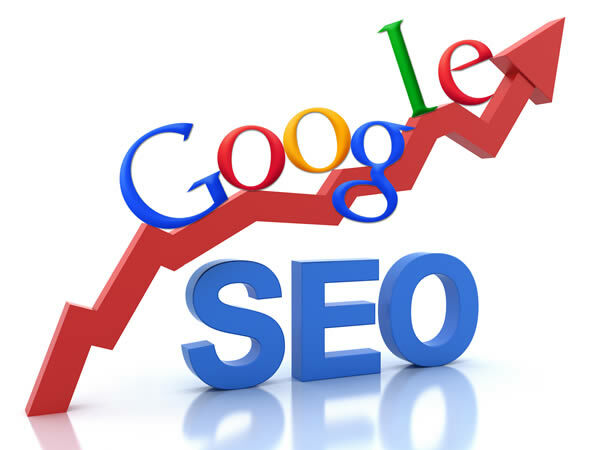 But one thing that it doesn't perform that well is in the area of SEO (Search Engine Optimization). And guess what? You can invest as many dollars as you like on social media or PPC (pay-per-click), but in the long term you are going to rely heavily on SEO to do the trick for you. SEO is not someting you can afford to miss. This article serves as the starter of a series documenting various nopCommerce SEO problems and how you can tackle them to enjoy an SEO-friendly webstore. First of all, let's begin with something simple: Meta Description tag. So you have been giving discounts on your nopCommerce stores. Other than raising the interests of your customers and generating more sales (in terms of quantity, not necessarilly in terms of total sales amount), you are not getting any other benefits. But you could have done it anyway! How about giving discount in exchange of social mentions of your store? In this way, not only are you getting social referrals, you are also improving your stores' Search Engine Optimization (yes, social mention is accounted for SEO these days)! Enter Pmints Discount - Social Discount Plugin. Pmints Discount is an nopCommerce discount plugin that allows you to give discounts to your customers after they've shared your website on their social networks. The actual sharing mechanism is provided by Pmints. Currently supported social networks include Facebook and Twitter. Pmints Discount essentially integrates nopCommerce's "discount requirement" mechanism with Pmints. In other words, the plugin works along nicely with nopCommerce's "discounts" feature, and you can add "shared on Pmints" rule to any discount on your nopCommerce stores! In this way, the discount will only be available after your customers have shared your website on their social networks. But how can you get the most of the Pmints Discount plugin? Read on to learn more! There has been numerous questions posted on nopCommerce forums and StackOverflow about how to make nopCommerce plugins' Views text-editeable as CSHTML files. This is because the most widely known method of displaying Views in nopCommerce is to mark the .CSHTML files as Embedded Resource, which essentially makes the Views behave like binary files (such as DLLs), which in turn makes the Views uneditable in text editors. In fact, you can't even find the CSHTML files on the compiled plugins folder! For example, the figure below is how a compiled nopCommerce plugin looks like. You notice that there's no .CSHTML that you can edit. Why is this a bad thing? Because if you are developing an nopCommerce plugin for your clients, that means there is no easy way they can edit how the plugin renders on their shop. How can we go about solving this limitation? Read on to learn!